What Is Black Forest Gateau E Juice Like To Vape? If you like sweet dessert style juices then black forest gateau is going to amaze you. When you vape this ejuice you will experience a taste bud and oral sensation just like you have had a spoon full of the real thing. It's got a soft creamy feel that full of cake, black cherry. The exhale is as good as the inhale allowing you to experience the full flavour when you blow out creating a pleasant dessert aroma. 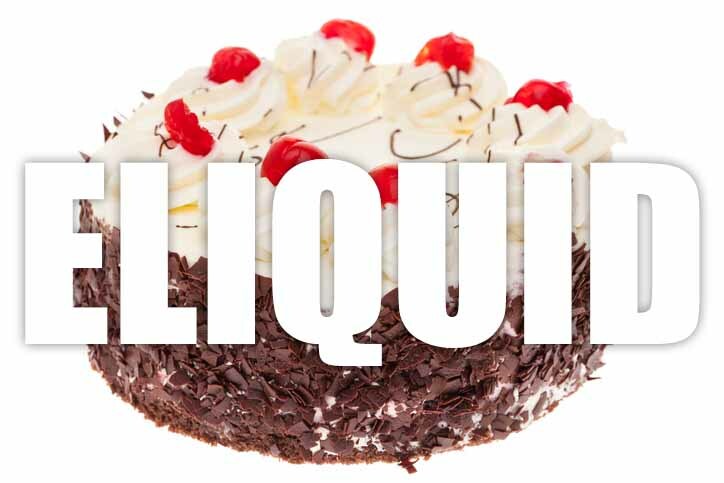 All our dessert cake e liquids are gluten free and suitable for vegetarians, and vegans. You can rest assured when purchasing this e liquid flavour that it contains only the purest ingredients.